Back in February 2015, Rooster Teeth’s Achievement Hunter (aka AH) put on a live, in-person Let’s Play event. Now, the Austin-based and Fullscreen-owned production house will take fans on a behind-the-scenes look at how the event got off the ground. Rooster Teeth will release its Let’s Play Live: The Documentary on September 14, 2015. Rooster Teeth’s new documentary reveals how AH came up with the idea for, organized, and performed its first-ever Let’s Play Live event in Austin. 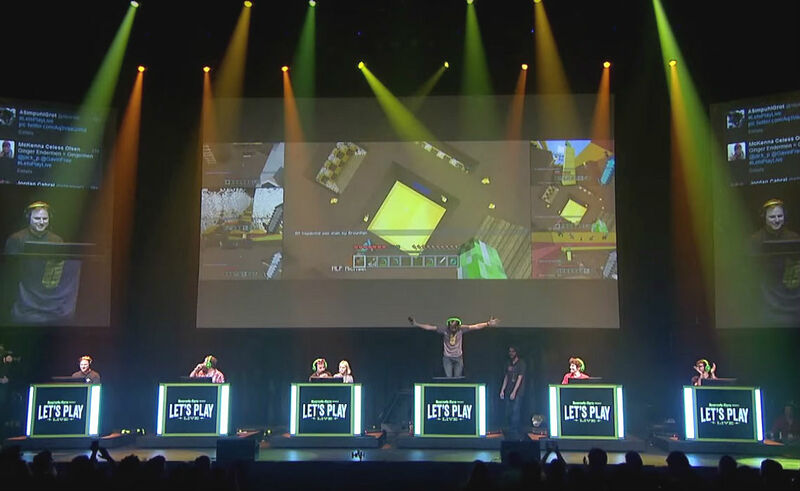 The trailer for Let’s Play Live: The Documentary hints at tension between the AH members as they prepare for the event, but also promises a whole lot of fun, strobe lights, and shenanigans. The gaming-centric Rooster Teeth documentary will be exclusive to sponsors (aka superfans who have signed up to support Rooster Teeth in exchange for limited and early access to things like this) on the company’s website. Let’s Play Live: The Documentary will also take a look at how gaming and its communities are changing the way people view live concerts and performances on big stages, which the press release explains were “once reserved for only the biggest of rock stars,” but now can be easily packed by niche subcultures and their superstars. Rooster Teeth’s documentary will also attempt to explain how online gaming and internet culture are obsessed with Let’s Plays, a phenomenon Jimmy Kimmel recently poked fun of on his broadcast television show (and then consequently received backlash for from the gaming community). If you’re a Rooster Teeth sponsor, you can watch Let’s Play Live: The Documentary on the company’s site starting September 14. You can sign up for a free 30-day sponsorship here.